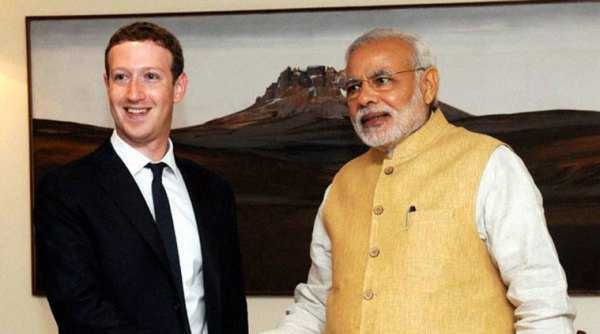 Narendra Modi, the Indian Prime Minister, has been invited to attend Facebook’s Townhall to be held on September 27 at its Silicon Valley headquarters. Prime Minister Modi will field questions from the public during the townhall proceedings, announced the social media giant. ‘Prime Minister Modi and I will discuss how communities can work together to address social and economic challenges’. Mark Zuckerberg posted on Facebook. PM Modi is also scheduled to visit Tesla’s car factory in Fremont, the SAP Center in San Jose and Google headquarters as part of his US visit. Both Prime Minister Modi and Facebook have invited the public to ask questions, either through the social media or via Modi’s mobile app before the question and answer session commences at 9.30 AM PT on September 27. There were already 24, 000 comments on Mark Zuckerberg’s post with questions being asked on multiple issues including, but not limited to, online education, censorship and poverty. On his own Facebook page, PM Modi wrote, ‘The interaction will cover a wide range of issues and will surely be a memorable one’. The Indian Prime Minister has already received flak on privacy issues for trying to enhance online access to government services under a scheme dubbed ‘Digital Services’. And Facebook might have some heated questions of its own to ask PM Modi. Last year, the social media giant started Internet.org, an initiative to bolster basic internet services in developing countries. However, Facebook faced a lot of disapproval, including from India, for the effort. Companies like media giant Times Group and travel website Cleartrip.com opted out of Internet.org claiming that the initiative was against net neutrality, a policy to keep the internet free and open to all. The criticism came from a strong public opinion that the Internet.org initiative will limit the use of free internet web services like Wikipedia and Facebook. However, Facebook denies these claims and said that Internet.org was opened up in May for developers to build any service within the platform. Facebook is a real giant in the social media industry going by its user and sales figures; as of June 2015, FB had 496 million active users monthly in the Asia Pacific region and made $1.03 billion in sales as of the first half of the year from that geographical region.